Written on 12 February 2012 . 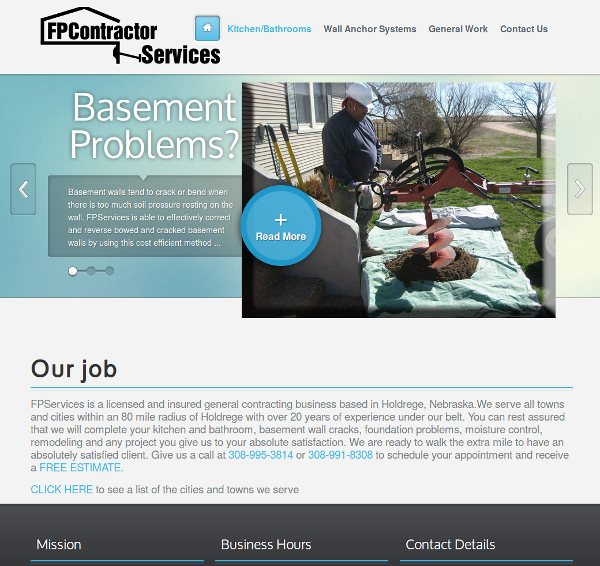 FPServices is a licensed and insured general contractor based in Holdrege, Nebraska. Fil has worked on numerous projects over the past 20 year. He was looking to better advertise his services through a website. Written on 05 June 2011 . 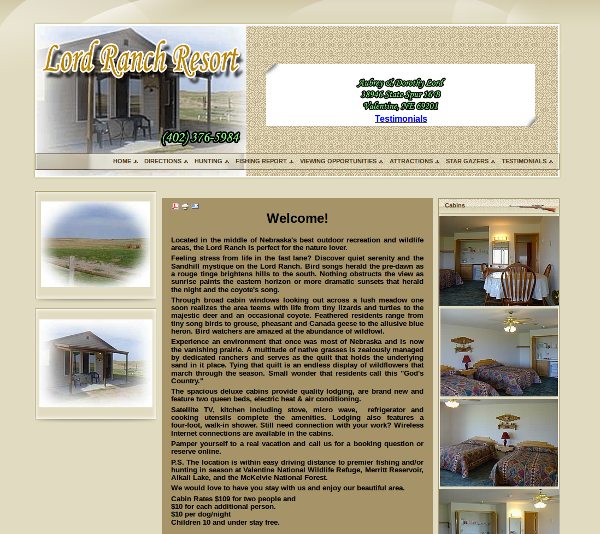 Lord Ranch Resort is located in some of the most beautiful country in Nebraska. Situated near Valentine, Lord Ranch Resort provides excellent lodging and hunting. While popular to those who know about this treasure, Dorthy was looking to better advertise her cabins with a website.